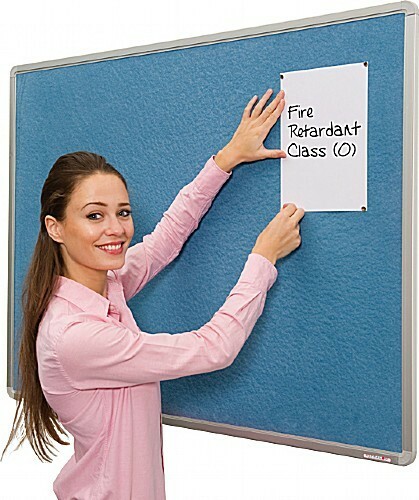 The framed Colourtex noticeboards are both fully fire retardant and environmentally friendly. The board is manufactured using 100% recycled newspaper whilst the stylish Aluminium frame is made from 35% recycled materials. Fully fire retardant to the BS-EN13501-1 British and European standards. Available for free UK mainland delivery on a 7 - 10 working day lead time.